What can be inferred from this photo? Support your answer with at least three details from the picture. What can you infer from this photo? Support your answer with at least three details from the picture. You will now read one of the two articles below. The teacher will tell you which article to read and who to partner up with. Read pages 1-3 of this text. Would the great Chicago Fire have happened today? Support your answer with at least three details from the article. 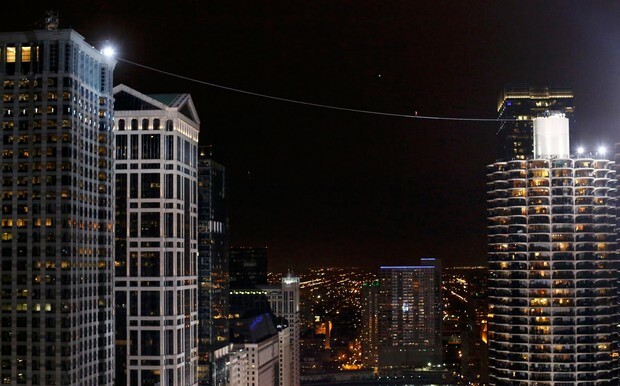 How do you know that Nik Wallenda's walk across the tightrop between the Chicago skyscrapers was difficult?